Furnace Filters & Air Conditioner Filters, shipped today. New Aprilaire 8400 Series Thermostats Are Here! Aprilaire has listened to customers and contractors - and has developed a line of thermostats that offer an unprecedented level of control. Quiet-Vent Central Ventilation System Now Available! We are proud to introduce the Quiet-Vent� Central Ventilation System. This innovated product allows the homeowner to provide a ventilation solution to multiple areas in the home (bathrooms, kitchen, living rooms, workshops) with just one, powerful fan. Honeywell Prestige Touchscreen Thermostats are Here! Honeywell has introduced a series of new products that will change the way you think about thermostats. The Prestige thermostat is the world's first high-resolution, full-color thermostat that redefines how a thermostat can look and what a thermostat can do. Why buy furnace filters & air conditioner filters from iaqsource.com? At iaqsource.com, we strive to be the national leader in online availability of furnace filters and air conditioner filters. Hundreds of thousands of businesses and consumers like you have trusted us to improve the air quality of their home or office. Our website is designed to help you quickly find what you're looking for. And when you have questions, you'll be greeted by courteous and knowledgeable staff that can help you find the answers. "Everything was absolutely great about my whole transaction. The order was processed and delivered quickly. The cost plus shipping was about $20 cheaper than what I�ve been paying from a local vendor. "It is nice to find a company that has what you are looking for, at a good price and has it in stock. The filters showed up two days after I ordered them. They were exactly what I needed. I will be reordering on a regular basis. Thanks." "Prompt delivery, excellent updates on shipping status and the website was easy to use and even had a step by step illustrated guide to the assembly instructions for this accordion type filter which was very useful." The furnace filters you need, at prices you can afford! 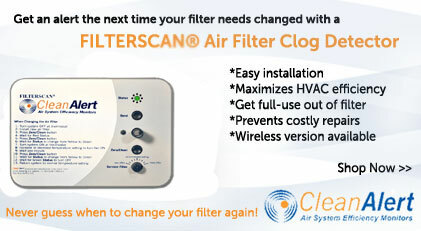 At iaqsource.com we carry furnace filters for every size and appliation imagineable. 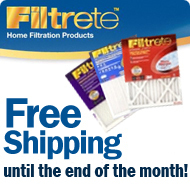 We also stock hard-to-find replacement filters from brands like Aprilaire, Honeywell, Trion Air Bear and 3M Filtrete. No matter your size or brand, you'll find replacement furnace filters at iaqsource.com!